Today was a blog waiting to happen. Only, it’s not going to be about the Ghanaian and African Embassies in the West as I’d intended – don’t worry, it will have its time too – but rather about contemporary books, libraries and reading in major African cities like Accra, Lusaka, Jo-burg, Lagos, Dakar. It features some great insights from people on Facebook and Twitter on Africa’s reading culture and access to contemporary books. Yesterday I participated in a very fruitful Virtual Americanah Book Club meeting with two of my friends – one in Accra, Ghana and the other in Maputo, Mozambique – and we had a swell time reflecting on Chimamanda Adichie’s latest, how it resonates with us, the different themes and so on. I posted some of my thoughts and a tweep asked where they could get the book. I have gotten this question so many times this year – especially after my “summer reads” blog – and so I automatically responded “Amazon” and sent a link. Then the question hit me: Where do Ghanaians, Africans go to get contemporary/recent/new books these days? Bookstores-wise, there were a number of options such as EPP books, the University of Ghana bookstore, and resale outlets like Books for Less. There was also a book outlet of some sorts near East Legon in Accra which shipped in books. I think it was either through a partnership with DfID or one of those agencies. My parents always went over to restock their collection and hook myself and my siblings up and I’ll admit, they had a wide variety of interesting books – fiction, non-fiction, text books, all of that. Now the thing with local bookstores and libraries in Ghana is that whenever I think about them, I think about text books and school supplies, which honestly, just translates to boring. Sadly, I didn’t think about novels when I thought about local bookstores and libraries.Don’t get me wrong, I liked some of my textbooks, but after studying all year long, I wanted novels, stories, fantasy lands to escape to. So if a bookworm like me sees a library and thinks boring, it’s no wonder many Ghanaian and African youth consider reading to be boring or just another chore. So where do Africans get their novels from today in a day of technological advancement and higher interaction with the rest of the world? I’m willing to wager a bet that the majority get it through friends in-country, wait till they visit the US, Europe etc to purchase or restock, or have friends or family members purchase and bring the books down on their behalf. Things haven’t really changed since I was 12 years old and in Class 6. I remember vividly how myself and some friends would “book” (queue, waitlist for) a copy of Babysitters club after some of our classmates (or their relatives) returned from London or the US with new books. The book would make its rounds within the class and also between classes and that’s really what fed our extracurricular reading. Thinking back, the limited exposure to primarily Western books is probably why my first co-author project with a good friend was entitled “The Spiker Sisters” (?! ), had names like Zack, Jaimie and Janice, talked about banana sundaes (which I’d never tasted or seen in person until 2008! ), and effortlessly referred to ‘hanging out at the mall’ long before Accra got its first real mall. What we read/consume influences who we are! No African Audience for African Books & Writers? If there’s been one visible change in the literary world, it’s the diversity of African voices cropping up, from well-known authors like Nigeria’s Chimamanda Adichie to newcomers like Taiyie Selasi and to younger voices who are being uncovered through initiatives like the Baobab African Prize. I think it’s safe to say that there are more novels, stories, and narrations from an African perspective than there were for 12-year old me and my mates in school. But are they getting the visibility, exposure and audience in their own countries? I always thought it to be in bad taste that our own African literary giants would travel miles to universities in the US, Europe to read, speak, but would totally bypass African countries. Now, I get it. Why bother when there’s no credible evidence of an audience, of distribution networks? The Silverbird Lifestyle Store at the Accra Mall used to hold so much promise. I was so excited the first time I went inside to see shelves and shelves of books, many by Ghanaian and African authors. Now the store is a mediocre version of what it used to be, having been downsized and carrying mainly magazines, music CDs, and greeting cards. Why? It probably has to do with business, profits and so on, but why should this be the case?! A whole city like Accra, Johannesburg, Nairobi, Dakar where investors and tourists flock, and yet the local populace doesn’t even have a venue worthy of being called a state of the art library or bookstore? I cringe at the thought that all the amazing books like Adichie’s Americanah are not even reaching Africans themselves or are reaching just a small segment which has access to credit cards, has networks abroad or who can download e-books with kindles, laptops, and phones. And let’s not forget the language element either. Look below. That’s what the tweep replied to me after I sent her the Amazon link for Americanah. And there you have it folks, the digital era. It’s really great that people can opt for e-books, Kindles, and so on, and as you can see, in a country like Ghana where access to current books proves to be quite a hassle, digital options help circumvent some of those issues. But as always, those options are dependent on having reliable and secure financial systems and debit/credit cards like Ecobank’s Classic card which apparently allows for online purchasing from Ghana (I just found this out yesterday!). With many African countries blacklisted for internet fraud you can only imagine how many online stores would happily indulge purchase requests originating from the continent. That said, the advent of financial products by companies like Ghana’s Dream Oval and online shops like Nigeria’s Jumia could help address some access issues when it comes to procuring electronic and hard copies of books. But again, a distribution network is essential, and this is where we seem to be failing.We need to figure out how to import current books at a feasible cost, create viable distribution networks in-country and across the continent, encourage local libraries and book stores to stock up on current books, and reinvigorate the reading culture in our various African communities. What Way Forward for African Books & Literature? It’s obvious that we have grossly overlooked this situation and only God knows what kind of impact not having access to current books, much more textbooks is having on learning, sharing, gaining a global, current perspective in our various African countries. Things change so fast and if you’re not current, chale, you’re losing out. 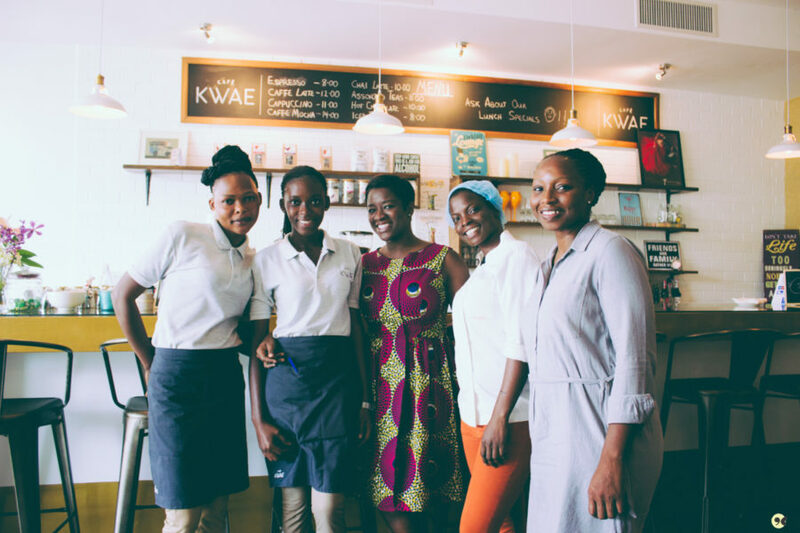 I’ve always toyed with the idea of moving to Ghana and setting up a cool, artsy coffee shop and bookstore where people could just relax, read, talk, interact, do book readings and so on, and was elated to hear about SyTris Bookservice in Osu which apparently follows the coffee shop model. 3. African Books? Maybe there should be an app for that! 1. The most recommended is SyTris Bookstore and Cafe in Osu, Accra. I took a quick look at their website and it seems they have Americanah in stock. 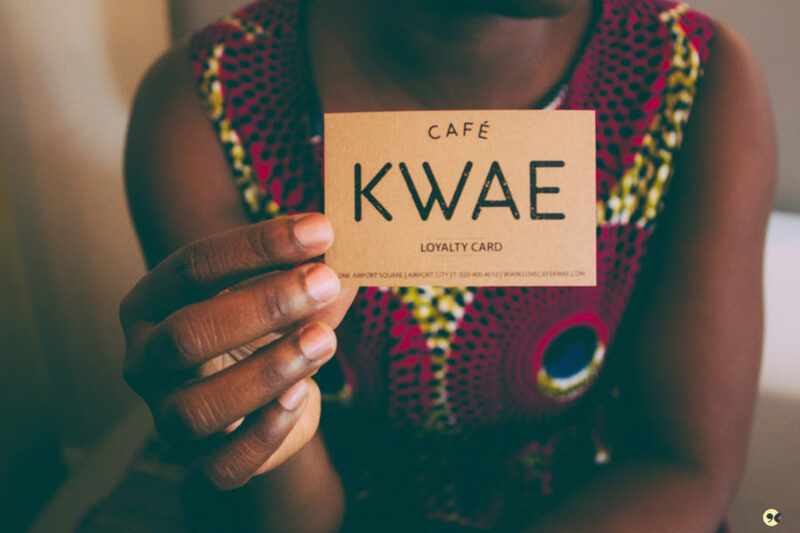 I also love the fact that they have a coffee shop feel, definitely going to check it out when I’m next in Accra. Check out their Twitter and Facebook pages! 2. EPP Books Services – at Legon or Trade Fair: It turns out they have a website, Facebook and Twitter pages too! People in Ghana can order online via their website. They also have branches in Benin, Nigeria and Sierra Leone and plan to expand further across Africa (as per their website). 3. University of Ghana Bookstore (Legon, Accra) <– A bit too textbooky. I don’t know how current they are novel-wise. 4. Vidya Bookstore in Osu. They have a Facebook page. 6. Book Launches hosted at the Goethe Institute by the Writer’s Project of Ghana. 7. Miscellaneous mentions: Challenge Bookshop at Kokomlemle, ATTC & Readwise inside Kanda, and street vendors near the Ghana Library Board. Thanks to @RasHman467, @aemaen, @EkOWMaIsSe, @justSalt, @bashfuta, @mcourageous, @missbwalya @aemaen, @i_Archive, @kajsa, @WCAWorld, Nina Chachu, Makafui Zimrani and everyone who shared their insights! If you’d like to share your recommendations on bookstores, libraries and coffee shops in various African cities, please do so via the comment option or email me. Thanks! I would actually love to set up something what they have in NYC. Awesome library network. Making donations to the library something for wealthy people to aspire too. etc. Surprising thing is there’s a national association of librarians in Ghana…I wonder exactly what they do but there’s a website and everything (thought that doesn’t mean much these days). Logistically books are heavy, don’t deal with water/weather well (so shipping by sea has difficulties) etc. I think encouraging e-publishing, working with that foundation that gives kindles to kids etc might be the best way forward. Dear Beans, thanks for your comment! Yeah, we really need to invest in libraries or spaces with educational resources. Didn’t know about association, could you share link? I get that books are heavy and there are all sorts of considerations for getting them into the country, but other countries do it no? Besides, cars are heavier and we have no problem importing those. It is really pathetic that these books cannot reach people living in Africa. I think african publishers should learn to mass produce books(without completely shunning quality). Thanks for sharing Ucheoma, I agree that part of the issue is the reach of books with come out. I’m willing to wager that most African writers produce primarily for their home country and not necessarily the entire continent and hence, marketing and distribution are impacted by that. That said, I’m not entirely sure that simply having a higher volume of books will guarantee distribution. Our main issue seems to be a lack of viable distribution networks. The Postal Services could have a role to play in improving this. There are a some books, if you know where to look. what i do is for not-so-new books like a couple or three years old, i have some suppliers in Circle that i go to who get me books. i also go to Sytris, Vidia or the Silverbird bookshop but for a broke college kid like me that’s not always possible. and then i know a few people in town that ship books from the US. It’s really complicated when you want a new book. I even have someone who downloads new ebooks and sends them to me. :) quite hard to be an avid reader in Ghana. Thanks for sharing your experience Rowie! I guess it is quite the chore – or the treasure hunt, depending on how you look at it – but yes, we have to improve access to new books. A book like Americanah should be a common read for Ghanaian students because it is really contemporary and gives a somewhat balanced view of the US, the different expectations etc, which I think is very necessary. While this article raises a very important problem, I would have like to hear a bit more about the root of the problem. To state that African do not care about their writers and their literature is highly simplistic especially when you see all the hurdles that those who are interested go through to attempt to get these books! Not only don’t have our own publishing companies (meaning publishers/editors that are aiming for Africans) but distribution network are also very weak! How many time did local publishers or libraries let you order online to tell you few weeks later that all the foreign books are sold out – I say this because I have went through this hurdles many times. So if all the books are sold out, someone is buying them! and if they do why aren’t they making more? What we must focus on is not whether African are interested or not, THEY ARE! But rather why can’t we find a way to get the books out. Your article raises this point very well. We have African authors who have published in several languages and yet can’t get their book into Universities and libraries in Africa! One other point is that wherever you are, you must go to your local library and ask for these books. If they tell you they don’t have them, ask how they can order them. I think that if each of us throughout the world keep asking for them, they’ll make them available just because they’ll see the money they can make from it. Additionally, if you are taking classes, ask the professors!!! I cannot understand that people get degrees in international development or African studies without having read Cheick Anta Diop or Theophile Obenga! Put your professor on the spot, the curriculum should have African authors from Africa to ensure that you have a variety of perspective. Getting professors to use these book or for them to ask your university’s bookstore to have it is a way to make them available to other. Students organizations are also a great way to request these books. Book Club are great and many universities provide funding for activities so why not have the authors come present their work? You don’t have to wait for their book tour! One place you’ll find amazing authors who ship worldwide is at this africavenir.org A foundation created in 1985 to foster knowledge about Africa, including various. In the section books, you’ll find African authors, books in French, English, German… spread the words! Thanks for sharing Ida Nguenge Feze. By all means, the issue is not that simple but has many dimensions as pointed out through the different contributions from social media. I think there is an appetite for the work of African authors, but the main issue is our distribution networks which are really poor. 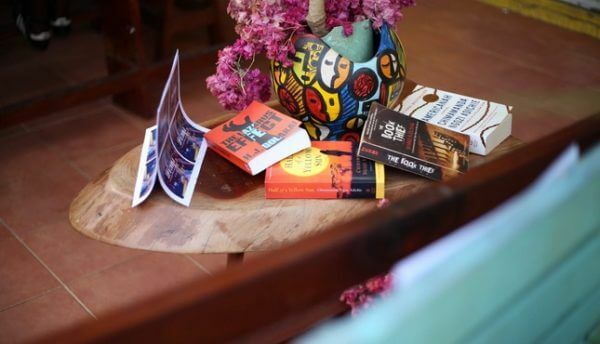 With better distribution, there would be a more visible audience and this would encourage more African writers to focus some of the publicity, outreach on the continent. “In level 300, that was last year, we had a lot of literature courses to do at the English department, which I belonged to. We had a lot of problems getting the old books especially, to buy and trips to the main Accra market(the place is called Accra, so I can’t give further description but that is where the Methodist book depot and stuff are) was quite stressful. When the booksellers realized the books were in “high” demand, the prices suddenly went up and some resorted to photocopying the book. There were other books we couldn’t get at all so the department lent us a copy from its library and photocopied copies were made available for sale to the students. On a book that wasn’t too old, our lecturer tried to get the books to us by placing a request at the University of Ghana bookshop that this is the book we would need. Apparently, he placed the request during the vacation prior to the commencement of the semester. When school reopened and they didn’t have copies, he went to inquire as to why there were no copies when he had placed a request that the books should be made available for students to purchase. He says he was told by the bookshop officials that the bookshop didn’t have money to stock those books so if he considered it that important, he could finance the process of getting the books to the bookstore and when the students buy the books, his money will be paid to him. This angered him and he left us to our fate to find the books to ourselves. By all means, this is a continuing discussion and I know many people have already expressed interest in helping find some solutions. This is something important that we really do need to come together to address so let me know if you’re interested. Thanks again! 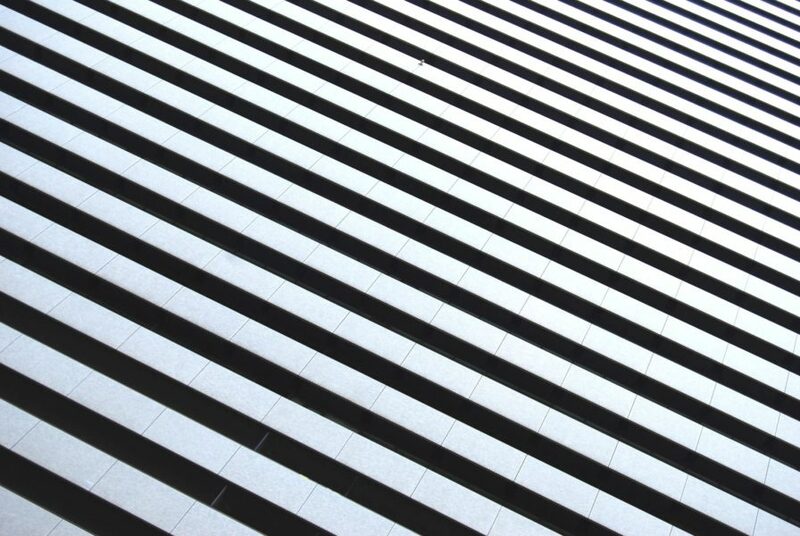 Great post and topic and comments. At Friends of African Village Libraries (www.favl.org) we support three village libraries in Upper East, outside of Bolgatanga. We also support the Uganda Community Libraries Association (over 100 members) and in Burkina Faso we support 14 village libraries. As funding permits, we source a lot of books locally. There is plenty available if you know where to look! In Ghana as you mentioned Systris and EPP have good book stock. In Burkina, Librarie de la Jeunesse. In Uganda Fountain Publisher has a large selection. We are running a program now called Youth of Tuy Read, in villages in southwestern Burkina Faso, where 300 youth are being delivered (by bicycle) a novel each week…. 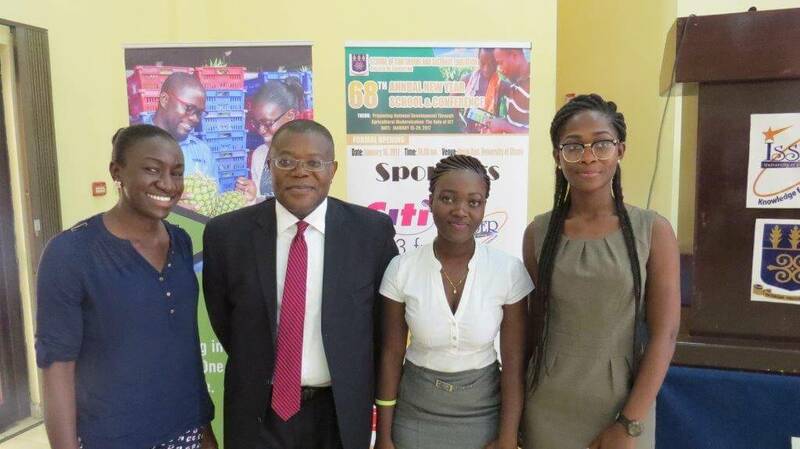 They are primary school graduates and some are still in secondary, aged 15-24…. for some the young adult novels (all by African authors about themes familiar to village readers) are the first novels they have ever read. There are other library support orgs out there…. Maria’s Libraries in Kenya, Osu Children’s Library Fund in Accra… African Library Project supports libraries in southern Africa and Ghana. BTW my favorite novel set in Ghana is Nii Ayikwei Parkes, Tail of the Blue Bird. You can read it over and over, and its gets deeper and better each time. Great article and very relevant for bookwarms :-). I suggets the way forward: how about evryone of us who lives/goes abroad, stocks up on a few or many (depending on financial means) and give out books from African authors to our local universities. they can be new or second hand. I live in between Benin and Togo. I use dto live in South Africa. I came back with a box of english speaking books that I donated to students studying english to introduce them to more than a dozen African authors. You bet they will search for more and we will create opportunities for them to get them eventually. Let’s start small. At our level. And see what it will turn out to be. Looking forward to your coffeeshop/bookstore in Accra! I see that great ideas are already being discussed and I find it really Exciting! Michael Kevane, your initiative sounds wonderful!!! Do you have partners in Cameroon? 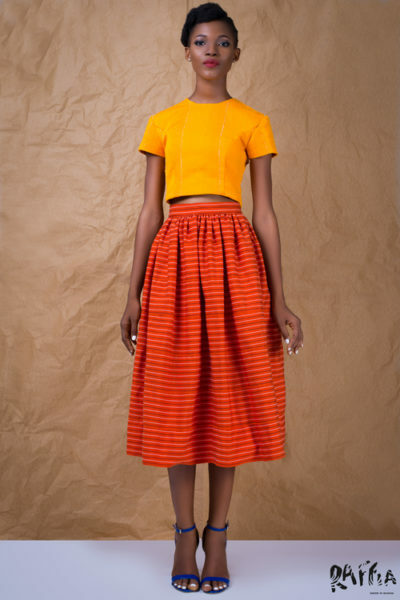 Have you heard of the Foundation AfricAvenir? They have collected about 700 or more books and created a local library where kids can read and also have a limited bookstore. Your idea of stocking up books is great, it might even be more efficient to go through your university book club/organization which will be able to collect or send more books. My particular issue, is that I would find it sad that student would know novels and books from across Africa and yet not know authors from their own country. I would rather focus on getting specific books into specific places and then adding whatever other books we can find. Would anyone know what it takes to get a publishing company up and running in Africa? I think that might be a great way to start and I am willing to look into this. Then we can see how people in the Diaspora can either contribute books or send books to a specific university directly through the publishing company. I believe that there are already some African publishers in Nigeria, does Ghana also have some? I would be interested in how to get started in a more meaningful way. Because I think that until we are able to control the production and distribution of books from African authors, these initiatives will have to be carried on forever! Anyone who has info, please let me know. We could also create a think tank to work this together. I haven’t read all the comments so i’m not quite sure if anybody has made the point that i’m about to but here it goes: WE HAVE TO CREATE AND PRODUCE OUR OWN BOOKS! Growing up, I had all these books; the babysitters club, goosebumps, secret seven, etc and they were really great but I don’t remember ever having read an African book. If we want our continent to be filled with books (and quality ones at that), it’s our job to write them, produce them and distribute them! A non-African is more likely to distort information if they write about Africa. There are different organizations that have made it their sole goal to increase the number of books written by African writers. One such organization is Golden Baobab. They have an annual literature prize to discover brilliant African writers of African children’s literature. 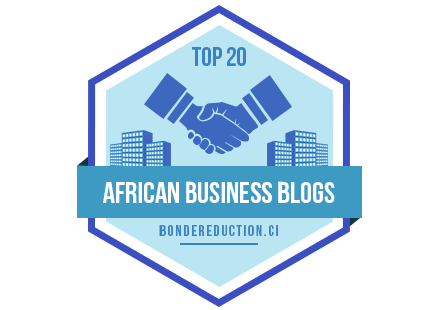 I think they, and other organizations that are doing similar work, should be recognized more for their efforts and supported by us (Africans). As a newly minted Ghanaian indie author myself, this has been one of my biggest hurdles: how to distribute my book in Ghana. I have no real solutions, other than flying home and delivering the books myself or shipping them at equally exorbitant prices. I would LOVE to see an African version of Createspace with a high quality print on demand module. With a little persuasion, I think investors can be ‘cajoled’ into making this a reality! Or maybe it’s just one of my many pipe dreams. Who knows? Thank you Michael for the information! Africavenir has started a library where students or anyone interested can consult over 700 books. Even this superficial division between English and French books is another hurdle, many African authors write in several languages including African ones, therefore, instead of focusing on the language maybe we should focus on the body of works and promote it all. Student studying different languages should be able to read books by Africans in such languages. But as we’ve said earlier and as underlined by nanama, we need to produce and distribute these books ourselves. How can a printing press cost these days with Chinese suppliers? Who are the local suppliers who could provide the paper and ink we need? Who owns the copy rights to these books? I think we can start thinking about these elements because shipping books made abroad is a short term situation already being exploited but we need to think long term.